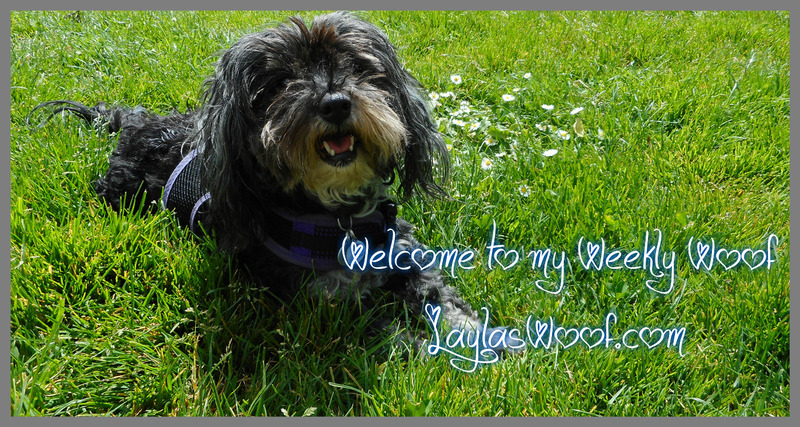 This entry was posted in Rescued Dog and tagged #dogblog, #dogpark, #dogs, #dogwalk by admin. Bookmark the permalink. Oh no poor Layla afraid of the microwave…bless her! Like you said, thankfully she’s still eating and the rest of her quirks just make her the unique pup that she is. Adds to her charm don’t you think! Okay, I have t admit… I love stubborn dogs! So that makes me absolutely adore Oayla because she wants her own way! I just think the spirit of a dog is amazing! Love the bed in the shower! It’s such a privilege to share our lives with these senior pets! I have noticed that Bentley sleeps sounder than he used to but he is still ready to cause havoc in the yard if dogs or people dare walk by our fence when they are outdoors. BOL! LOL Layla…as I get older I like to sleep more too. And Shhh don’t say anything but I like the fresh bakery smells when I’m at the supermarket! 12 years strong and still living it up!! Go Layla! Bless her for being a healthy, happy 12 year old! Icy is 9 and she’s suddenly becoming sensitive to many sounds. It’s so weird! Hope you are having a great weekend. The dog park issues must be sad for you because she loved going so much. It could be worse, if she didn’t like your phone ringing or the food she eats!! Have a great week you two and Thanks for joining the Pet Parade too! I think that everybody is entitled to their quirks regardless of age. Layla is looking good! I love that she is happy to circle the parking lot for a while. Nelly is also turning 12 in April, but I haven’t noticed too many quirks lately. She does seem to be a lot more playful now, but I think she is happy because, after a long gloomy and gray winter, we are getting some sunshine. I hope the two of you had a great weekend! Thanks Beth and hope you have a great week, I am happy to hear Nelly is more playful that is great to keep the alert and busy. Oh, miss Layla, you look “mahhhvelous” (does anyone get that anymore? Am I aging myself?! )…you make almost-12 look wonderful! With three 11-year-olds and an 14-year-old pup, I, too, notice some changes and quirks as they age for sure! 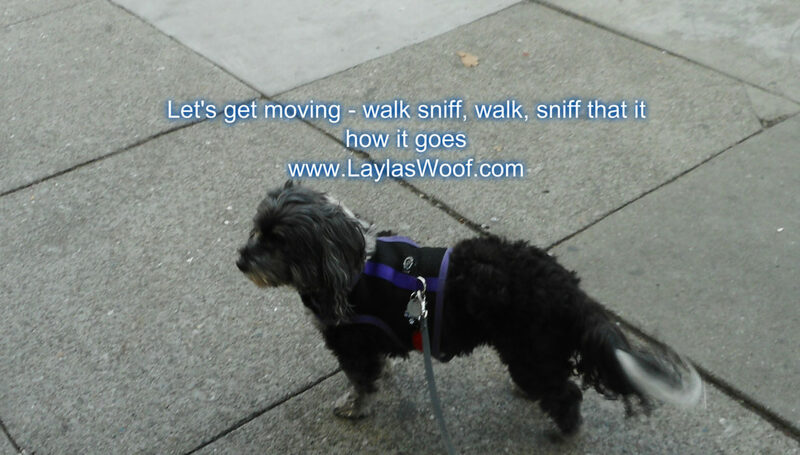 But, as long as they enjoy those sniffs and walks and food, (and our company), it’s all good! 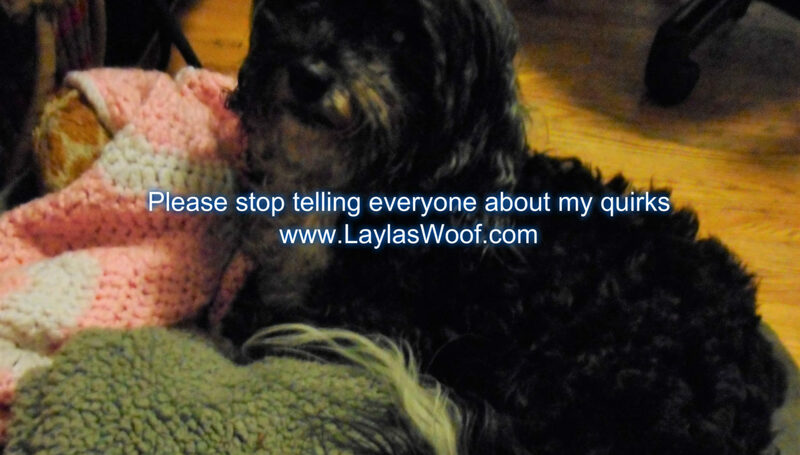 Layla, all of us old ladies are entitled to our quirks. We’ve earned them! I love that you have a bed in the bathtub! 100% agree that our senior pets teach us a lot about aging! We had my mom’s elderly 14 yo cat come to live w us after she passed. There was so much life in his last 18 months! Look at senior pets so differently now!